…It is all about a journey that you can take through the layers of the good and the bad, the right and the wrong of the systems you belong to and discovering where you are free and where you are bonded. Here we find the opportunity for lasting solutions and end our deepest suffering by remembering our families, our ancestors, our countries, and reconnecting with their souls. Some of what occurred in the family may not be in our immediate awareness. Much of it is “put away” out of a necessary protection of what was unknown but deeply felt. As children, much of what happens in the family is kept from us or simply not acknowledged by the adults in our lives. But this turning away has consequences: out of a deep unconscious love and solidarity with those not seen or acknowledged, we begin to bear their burden, which was never really ours. This identification process is at the core of what is called entanglement, and the pain resulting from it becomes the clue to our healing. In family and relational constellations, together we work with you to find the hidden dynamics in the various relational systems you are a part of and make them visible and workable. This could be within your original family system, the system of the present-day family unit, in present or past relationships, work related systems, education and career. Constellations offer a powerful awareness process for self-reflection and understanding how we become stuck in disruptive life patterns that repeat themselves. It sheds new light on problems such as divorce, intimate relationships, depression, low self-esteem, health issues, work challenges and emotional states. It is all about a journey that you can take through the layers of the good and the bad, the right and the wrong of the systems you belong to and discovering where you are free and where you are bonded. Blind love and loyalty during different periods of your life can block your essential healthy Self from leading your life. This essential Self guides you to your destiny and helps you to live your life's purpose. For more than 20 years, Peter deVries has been a principal teacher of the Family Constellation approach. He was born in the Netherlands and educated in Europe. Peter has studied psychology and its many aspects and has trained with Bert Hellinger, Hunter Beaumont and Victoria Schnabel. He is also trained in Somatic Experiencing as well as, extensive training and experience in Hakomi and Internal Family Systems giving Peter a unique view into the workings of systemic and intergenerational trauma. Peter is a counselor and mediator for individuals, couples and families. He also leads workshops and trainings throughout the U.S., Europe and the Caribbean. 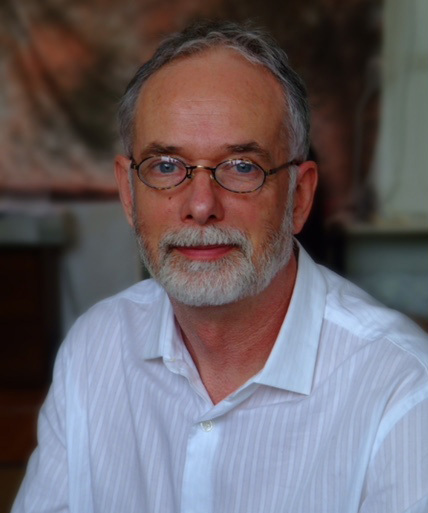 Peter maintains a private practice in the San Francisco Bay Area and is the founder of ConstellationWorks since 2001. Cara is a licensed psychotherapist living and working in Marin County specializing in systemic trauma. Cara is a body centered psychotherapist, bringing in tools of trauma re-negotiation and resolution that she learned through training in Somatic Experiencing. She has also been trained in Systemic Constellation work which she uses principally in her private practice. Her offices are in Marin and San Francisco and she can be reached at 415.289.6770 or email to cara@caradevries.com. "Thank you Cara for staying with me through a very difficult time of traumatic stress. Your presence and gentle approach along with practical tools I could really use have been a great help. I feel more ease and comfort in my life and my relationships." "Cara is an extremely sensitive, gifted and intuitive healer who offers post traumatic stress therapy using a unique mix of verbal and somatic approaches.Our work together helped me to recover relatively quickly from a very difficult life trauma without any negative physical impact. I highly recommend to anyone who could benefit from a gentle, yet very effective and rapid treatment modality."